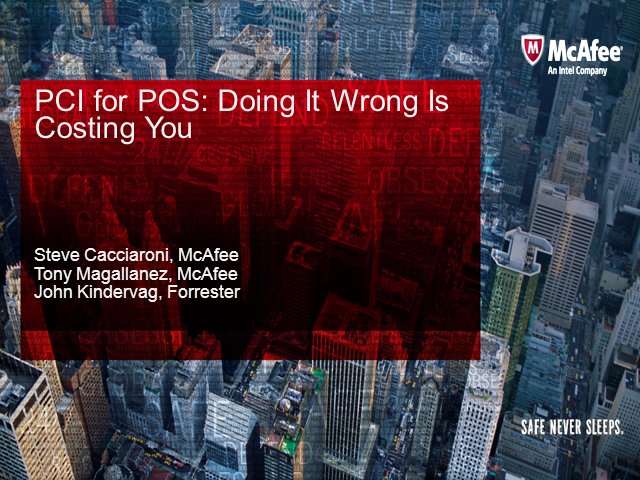 PCI and Security for POS have changed! If your security approach isn’t tailored for retail systems, you may be missing out. Tune into this webcast and learn how you can better achieve PCI compliance while proactively preventing data breaches, protecting your brand and bottom line, and more importantly, ensuring customer loyalty. Our featured presenter is John Kindervag, Principal Analyst for Forrester Research, who will review best PCI regulation practices for retailers categorized as levels 1-3 merchants. Additionally speakers from McAfee and Retalix will discuss their unique security approach in demonstrating PCI Compliance for gaining security efficiencies while achieving greater ROI for your Retalix systems.